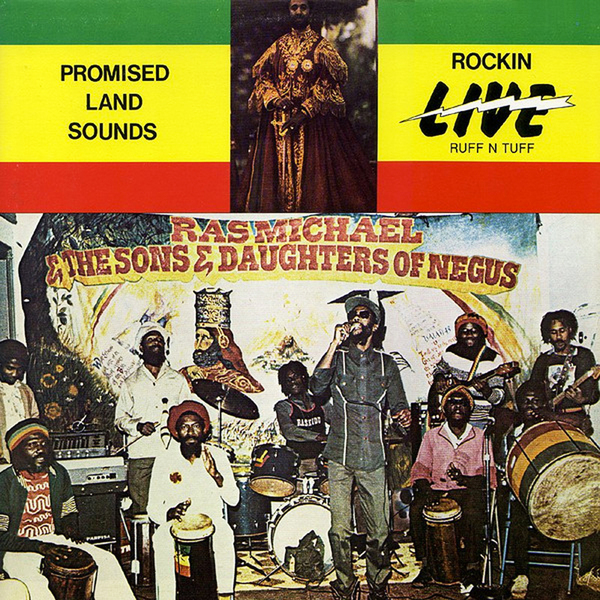 Intoxicating, nyabinghi-driven roots reggae showcasing the hypnotic and mystically attuned styles of Ras Michael & The Sons of Negus at Black Ark in 1980. A spiritual successor of sorts to that Dadawah LP, which was also reissued by Dug Out and which left such an indelible mark on our listening lives, Promised Land Sounds - Rockin Live Ruff N Tuff is distinguished by a more upward, bubbling battery of drummers and drenched in widely reverberant, echoic FX perfectly captured by Lance on the Black Ark desk. 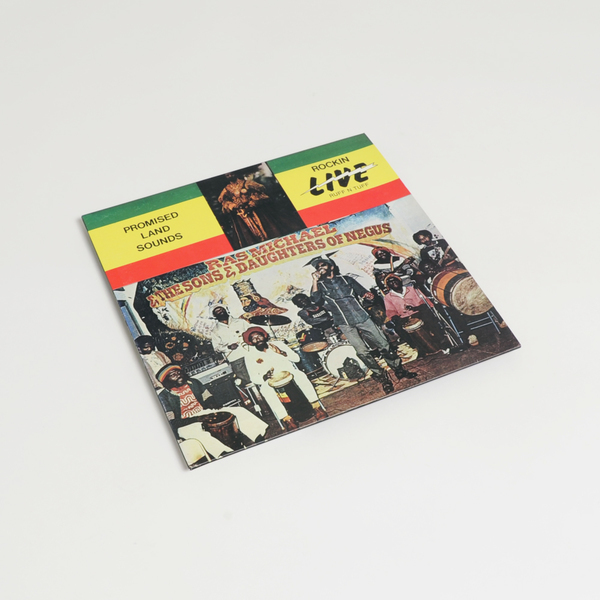 The vocals are floating five feet high and deeply devotional, lead by Ras Michael chanting, squawking and holding his own amidst a wavy haze of drums and vibes whose cloud like dimensions sounds as though the recording was exhaled onto wax rather than inscribed. 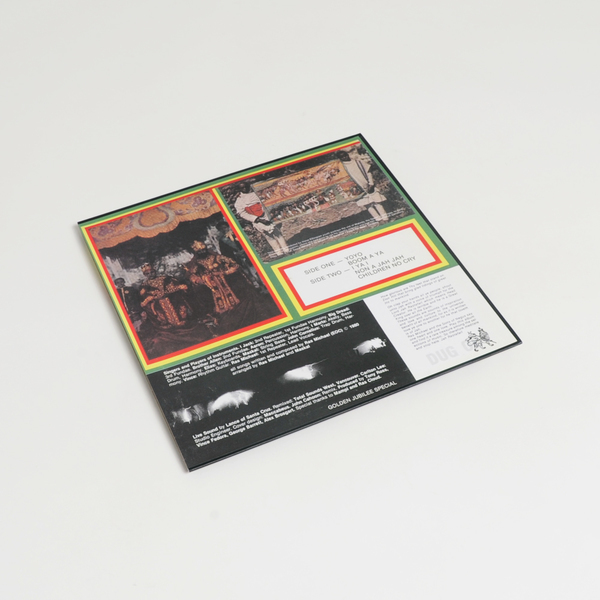 It’s proper communal music, rolling with the kind of timeless, rounded pressure that comes from lots of time spent playing together, somewhere between The Upsetters and Sun Ra for levels of cosmic intuition and elevation, especially so in the otherworldly 15 minutes of I Ya I.